X-rays are often the best way to identify problems that are not externally visible. X-rays are crucial in doing a complete and thorough dental examination. They are especially important in diagnosing serious conditions early to allow for effective treatment before you experience discomfort. X-rays show bone anatomy and density, decay between the teeth or how extensive the decay is, whether an abscess is present, impacted teeth, or if children have permanent teeth. Cavities that start between the teeth can’t be seen, but they can be detected on an X-ray. The number and type of X-rays you will need depends on several factors such as age, current dental health, and external signs that may trigger a cause for concern. We are very conservative with the amount and frequency of dental x-rays taken on patients. Dental X-rays are very safe. They are taken at fast speeds with low radiation. A special lead apron is used to further reduce exposure. Everyone is exposed to a certain level of “background” radiation every day. Background radiation comes from many sources, including the sun. The amount of radiation from dental X-ray is approximately equivalent to only two days of exposure to background radiation. In other words, you receive as much radiation in two days of normal activity as you do from our cavity detecting X-rays. 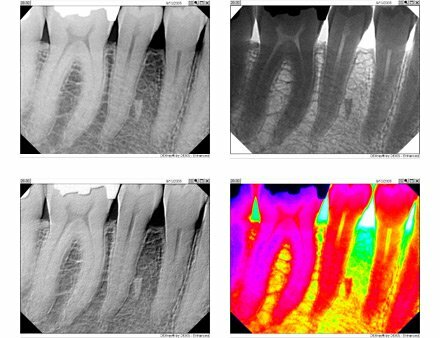 At our Pasadena, Texas Dental Office we use digital x-rays for even less radiation. We encourage you to call us at 713-941-8261 for more information.